(SPOT.ph) The United Kingdom’s Ambassador to the Philippines called it. "Food is something we have in common," says the jovial His Excellency Asif Ahmad. "We both love to eat and drink." In terms of materials and processes, Filipino cuisine is far from British, but it's this shared culture for a good time and the love for fuss-free things that makes things like steak and kidney pie, mash, and pasties easier to stomach. Fish and chips, regardless of geography, will always be a crowd-pleaser. EDSA Shangri-La is one of the many hotels partnering with the British embassy to promote January as British Food Month, which, in turn, is part of the five-monthlong This is GREAT Britain campaign that began in October. 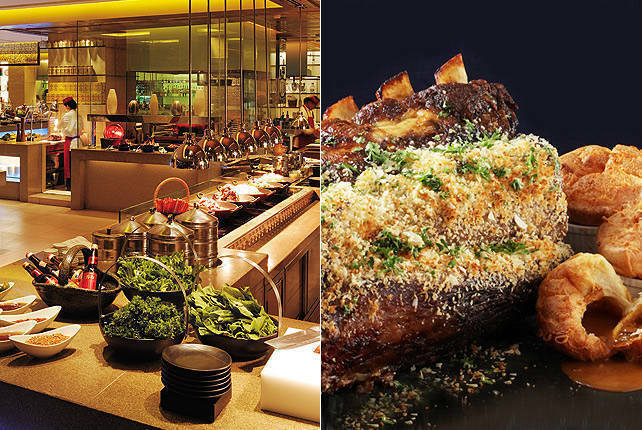 Things sail across the pond at EDSA Shangri-La’s all-day buffet restaurant, HEAT, where iconic UK dishes are making their appearance in the lineup. 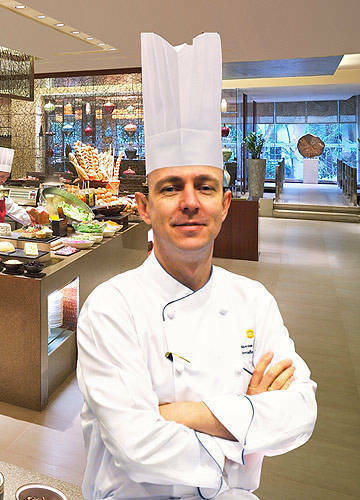 EDSA Shangri-La Executive Chef Warren Brown hails from England and these new dishes are the flavors of his childhood. "I tried to take you to the UK for those who've never been there," he says. He sources ingredients straight from Britain, like the world-famous Devon clotted cream, for authenticity. Brown innovates his dishes to fit the hotel's style, but simplicity speaks for most of the offerings. Standouts are the Roasted Sirloin on the Bone with Yorkshire Pudding paired with (his own twist) brown sauce flavored with Newcastle Ale. Sides are generous and you'll see pans of peas and carrots, mouthwatering marbled potatoes, and buttered cabbage. The must-try, however, is the cheddar mash, where a perfect amount of cheese lifts up the soft and subtle flavor of the creamiest starch. Even drinks aren't exempted from the British theme. There's a bevy of spirits imported from the UK, notably Old Speckled Hen, Guinness Draught, John Smith Extra Smooth, Strongbow Cider. The British Lemonade is a non-alcoholic concoction spiked with Sprite and fresh fruit. In the afternoon, from 2 p.m. to 6 p.m., EDSA Shang also plays host to the Great British Afternoon Affair, which highlights favorite British pastime, tea. This is where that famous buttery clotted cream makes its appearance, with biscuits, scones, and strawberries. But once you've finished that little saucer, make sure not to miss the Victoria’s Sandwich. 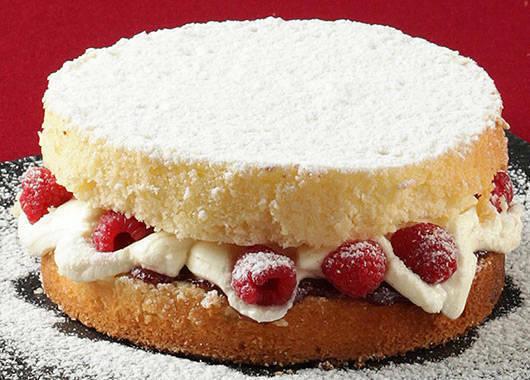 Soft and airy sponge cake is filled with raspberry and cream; the level of sweetness is a demonstration of restraint-just enough to titillate your taste buds. Your route to Great Britain marked: head over to HEAT for Chef Brown's savory comforts, then to the Lobby Lounge for a spot of tea-with milk, of course. 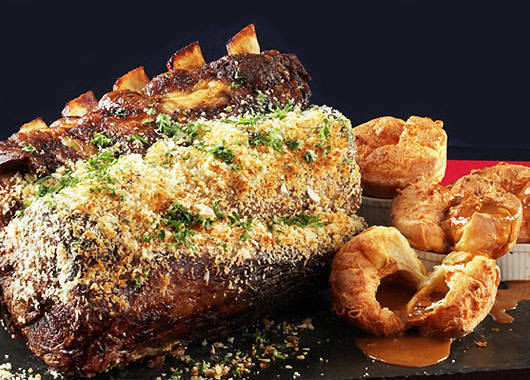 The Great British Feast is from January 13 to February 9 only. 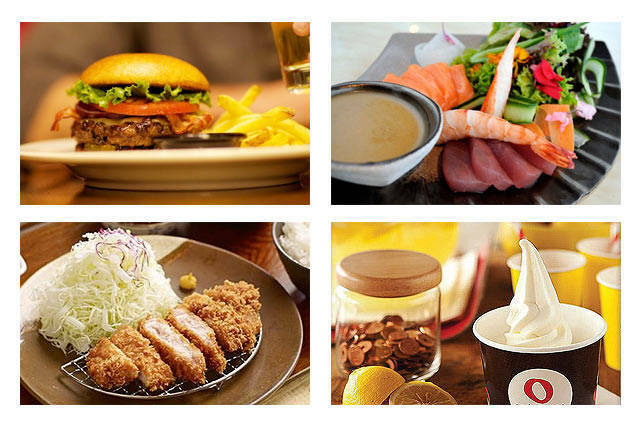 Prices are P1,768.40 (lunch from Monday to Saturday), P2,279.20 (lunch on Sunday), P2,032.80 (dinner from Sunday to Thursday), and P2,279.20 (dinner from Friday to Saturday). What’s next on our must-try list after Wildflour kills their Croissant Doughnut?